Before you book a color appointment ask your colorist to meet to talk about what it is you hope to accomplish. A licensed cosmetologist will be able to tell you what will work best with your hair type as well as give you a sense of how your new hair color will match your skin tone. Sometimes the color you really want to try won’t take well with your particular hair type—or it just won’t look great. It can take a long time to get your natural hair color back to its original shade so make sure you consider carefully before you take the dying dive. How often do you intend to color your hair? Before you choose a color or style, consider what kind of maintenance it will require. If you have darker hair and want to go platinum blonde it will require A LOT of maintenance -time and money spent at a salon. If that kind of commitment isn’t your style, you may want to choose a more rooted style like a balayage, where a contrast between colors is what it’s all about and the style works even as your hair grows out. If you’ve never colored your hair before, you may want to start with a gloss or a partial set of highlights. A gloss will only add a bit of shine and pigment to your hair and will eventually fade out. If you have blonde or grey hair, a gloss treatment can enhance and brighten your color. As for highlights, you can choose a little or a lot. Some highlights look so natural you can hardly even tell they are not your natural hair color. Like any other part of your body, your hair needs protection from the elements. If you’re one of those people who loves to get dolled up before you take a vacation, stop! Fun in the sun may be great but it’s not great for your newly-colored hair. The summer sun, pools, hot tubs and other outdoor elements aren’t good for dyed hair. To maintain your hair color and protect your scalp tie your hair up when entering a chlorinated pool or hot tub, and if you are beach bound use a hair sunscreen or, better yet, wear a hat! Did you know once you get your hair colored you should change your hair care products? Choose shampoos designed for colored hair to help your color last. Since hair coloring can dry your hair, you’ll want to use an intense hydrating shampoo or conditioner or a set specifically designed for color treated hair to make sure your hair is getting the best nutrients possible. 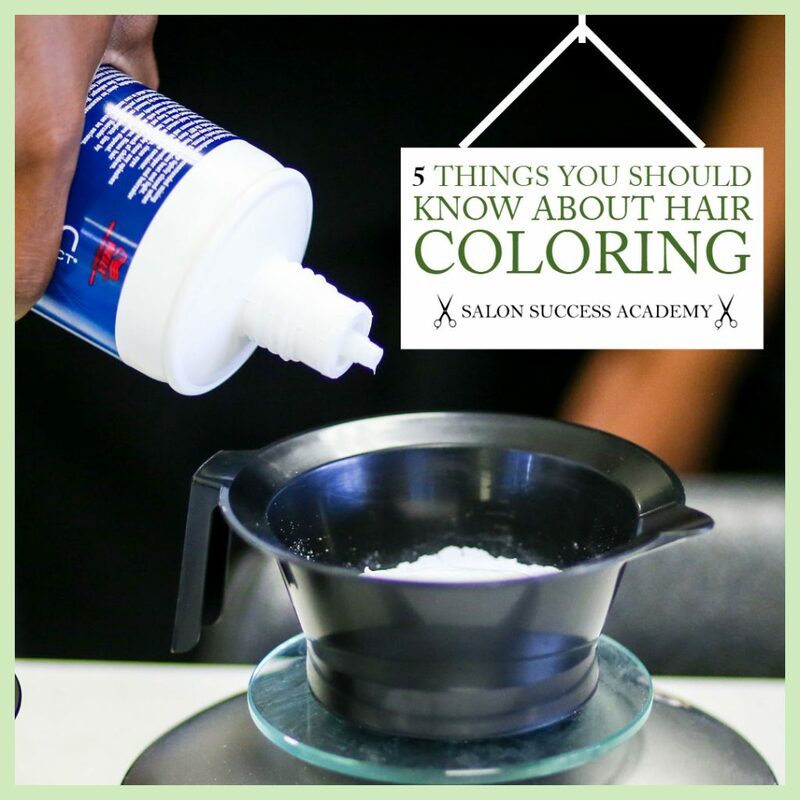 Your colorist can suggest products that will work best with your hair and your new color so you get the most out of your color and it lasts as long as possible. Treat your new hair color with care. Want to learn more about hair care? Follow our weekly blog. And if you really have a passion for hair color and style, check out Cosmetology training at Salon Success Academy. We have six campuses throughout the Inland Empire. Fill out the form and let’s talk now!